I visited the Newcastle Culture Lab in Newcastle last week to work on a set of Cultural probes with Madeline Balaam as part of the PATINA project (more info about the probes on the PATINA blog!). 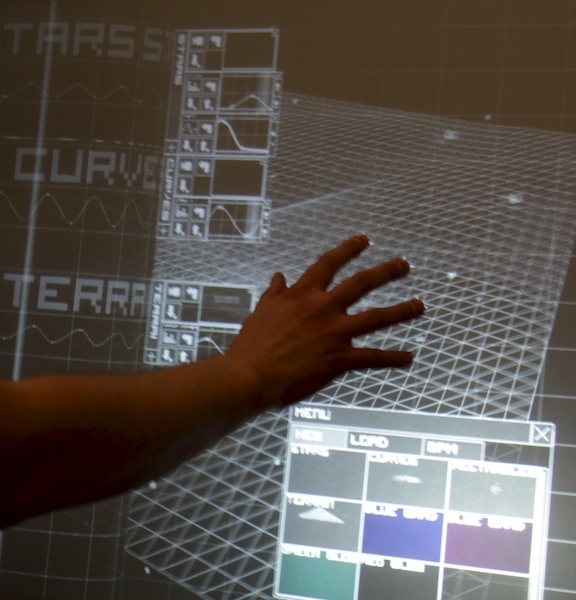 While I was there I was given a demo of the Waves VJ multitouch system by Jon Hook. 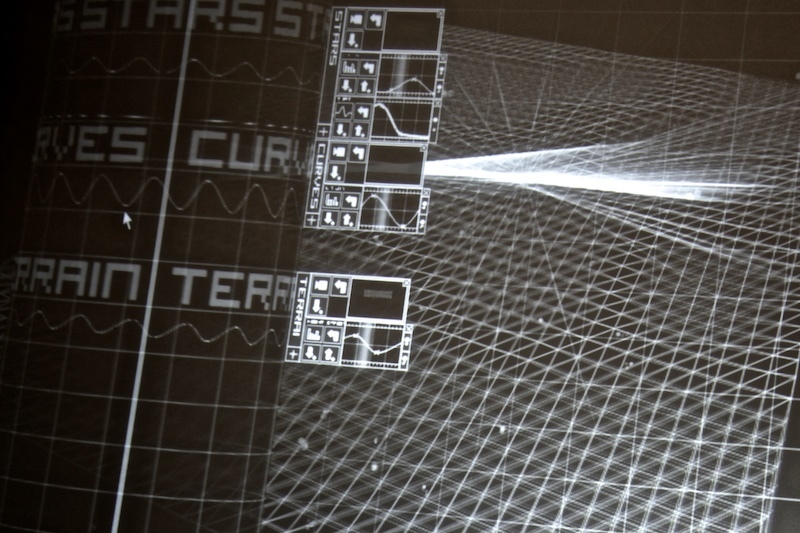 It’s a synthesis based VJ system where multiple generative elements are added and combined to create complex 3D images. 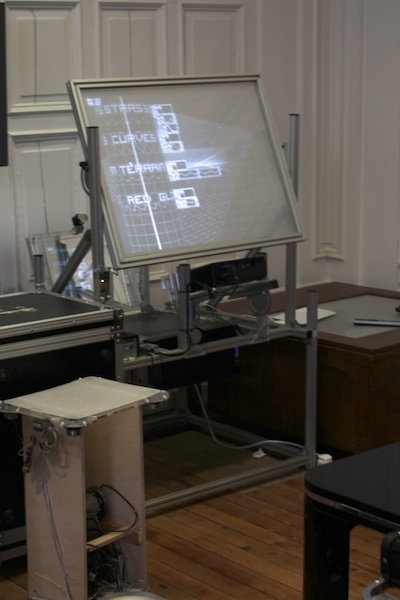 I was impressed by the ‘jog-roller’ on the left of the screen that lets you cue and play the synthesised patterns in time with the music. More info here and on Jon’s homepage.